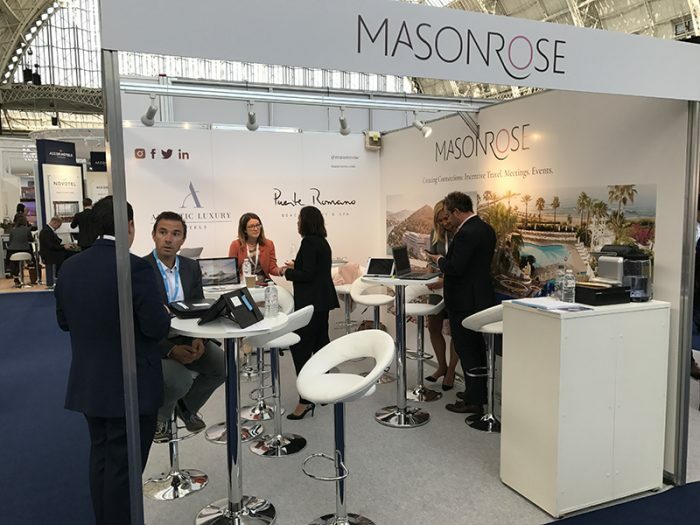 Last month, the Mason Rose Sales team exhibited at the Meetings Show in Olympia with four hotel partners. We brought along representatives from our sales clients Adriatic Luxury Hotels, Vila Vita Parc, Puente Romano and Seven Pines (opening in Ibiza later this year). The Meetings Show is the premier event for the meetings industry in the UK. It offers an opportunity for destinations, hotel sales teams, venues and agencies to connect with premium-level MICE buyers under one roof. It also offers a fantastic chance to learn about the latest technology and innovations and to grow networks. It was Mason Rose’s first year exhibiting at such a show and we had a fantastic response. In total we had 190 unique visitors come to the stand. 157 (over 85%) of the scanned population were Buyers (either Visitors or Hosted) – 120 (over 75%) of the buyers that visited the stand were UK buyers. One evening, Mason Rose also invited a group of hosted buyers for a networking evening including Zibrant, Trinity Event Solutions, Villiers and Think TMB. 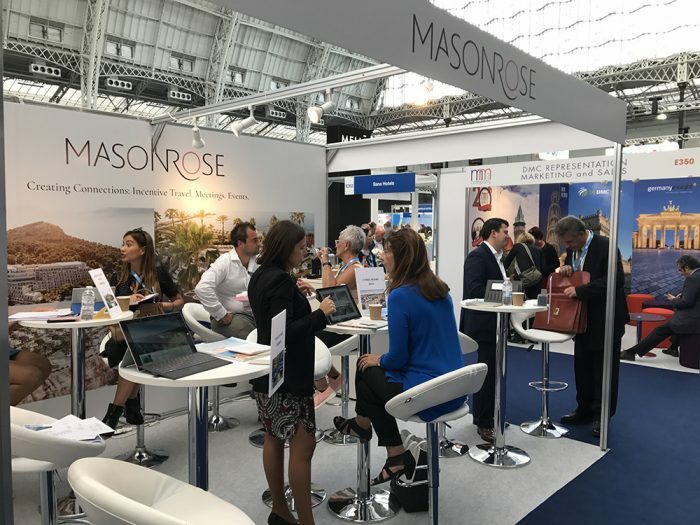 During the week, we organised two networking events at the Mason Rose stand for the Alliance of Independent event planners and the Events Industry Elite.